Welcome to Pilot Law, P.C. Pilot Law, P.C. 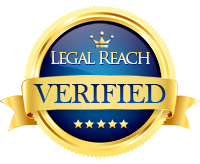 is centrally located in San Diego, CA and focuses on representing veterans and military personnel with respect to their rights under the Uniformed Services Employment and Reemployment Rights Act (USERRA). We also provide legal counsel to individuals on issues relating to aviation law, including aviation-related accidents and FAA citations. Pilot Law also practices in the areas of products liability and personal injury. Pilot Law is very well-versed in Uniformed Services Employment and Reemployment Rights Act (USERRA) and represents Reservists and Guardsmen in disputes with their civilian employers. Pilot Law also represents clients in the Burn Pit litigation currently pending against various defense contractors, including KBR, Inc., and Halliburton Company, for allegedly exposing our military personnel who were stationed at several military bases in Iraq and Afghanistan to toxic, carcinogenic material as a result of improperly burning various forms of waste in open-air burn pits. Pilot Law, P.C. pilot lawyer has litigated cases in federal and state courts throughout the United States and has worked in conjunction with counsel all over the U.S and abroad. Pilot Law was founded in 2004 by Brian Lawler, pilot lawyer who spent eleven years on active duty in the United States Marine Corps as an F/A-18 Weapons and Sensors Officer prior to becoming an attorney. Mr. Lawler is currently a Lieutenant Colonel in the Marine Corps Reserve. After law school, Mr. Lawler spent several years representing clients for a well-established trial law firm in Los Angeles before founding Pilot Law. In 2007-2009, Mr. Lawler served as Of Counsel with Lieff Global, LLP in San Francisco representing clients in several high profile military and civilian aviation accidents both nationally and internationally. In addition, Mr. Lawler, an aviation lawyer is a referral attorney for the Aircraft Owners and Pilots Association Legal Services Plan and represents clients in various defense matters with the Federal Aviation Administration including airman and medical certificate enforcement actions, and advises clients on aircraft purchase and lease agreements.